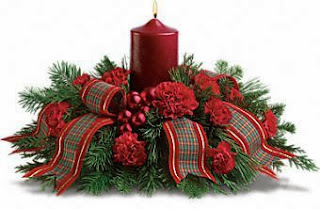 Center Christmas table with red flowers, yellow, green and branches, in the middle there is a red candle into a vase. 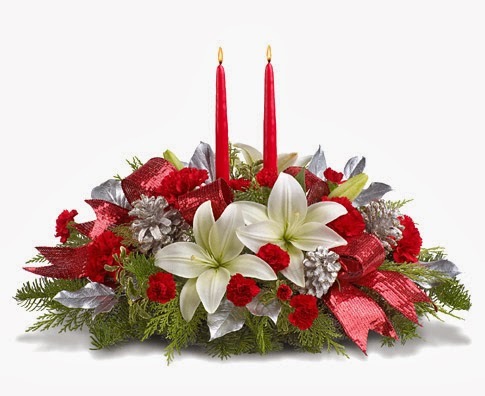 Christmas Center table with red flowers, white and green branches. 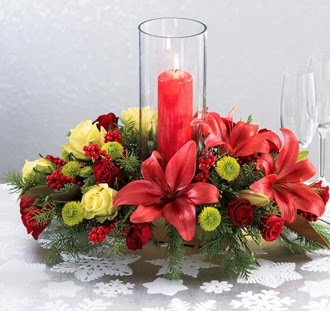 Christmas Center table with red flowers, green branches, golden leaves and branches of the same color. 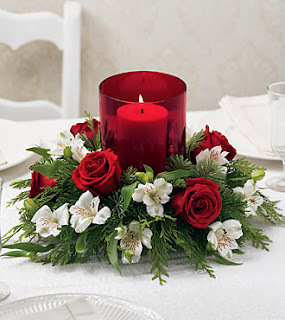 Center Christmas table with red flowers, green branches and ribbons with edges of the same color. 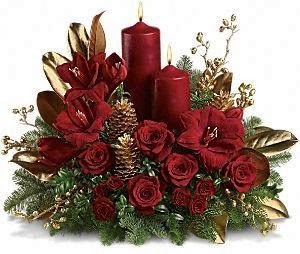 Christmas Centerpiece table with white flowers, red, green branches, silvery spheres and thin red candles in the middle. 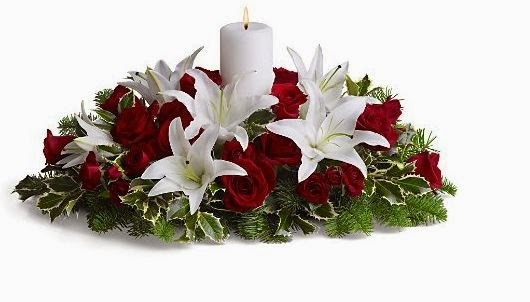 Christmas Centerpiece table with white lilies and red roses. 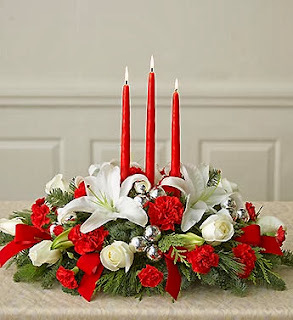 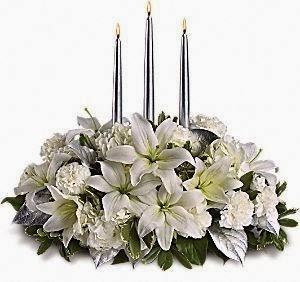 Christmas Centerpiece table with white flowers and silver candles. Christmas Center table with red flowers, white, red ribbons and silver pinecones. 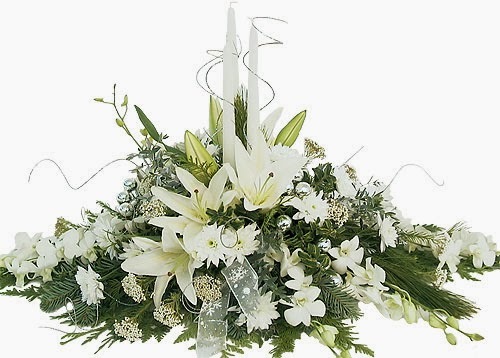 Christmas table center with flowers and white candles, in combination with green branches.